I will usually paint my nails myself, but in the event I do stop in to get a manicure on-the-go I always feel so happy with the job they have done. Do you ever wonder how they work their magic? It seems there is some method to their madness when it comes to painting perfect tips. 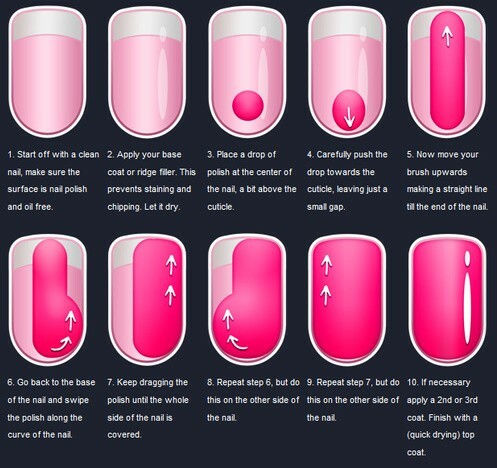 I’ve shared this informative step-by-step chart I found on Pinterest to show you how you can achieve this perfection at home!